I am interested in sharing my knowledge of African American art and history, womanism, and queer history and theory, with an eye to showing the ways in which many diverse personal narratives are linked to one another across time and physical distance. Inspired by the rhythm of my community, my works visually create its heartbeat--its strengths, victories and challenges. I am an emerging artist with a focus on exploring ideas of femininity and identity/presentation/expression within the both the African American and LGBTQ communities. 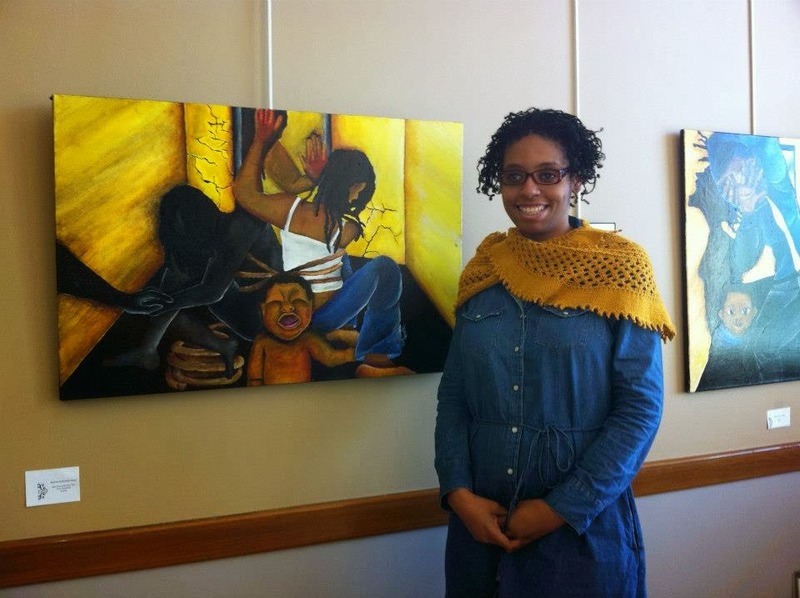 I am also interested in how art can be used to address issues relating to social equity. How can art be used to as a medium for people to gather together and reflect on shared issues? Can art be used to help find solutions? I live in libraries, under piles of books, films, and music. 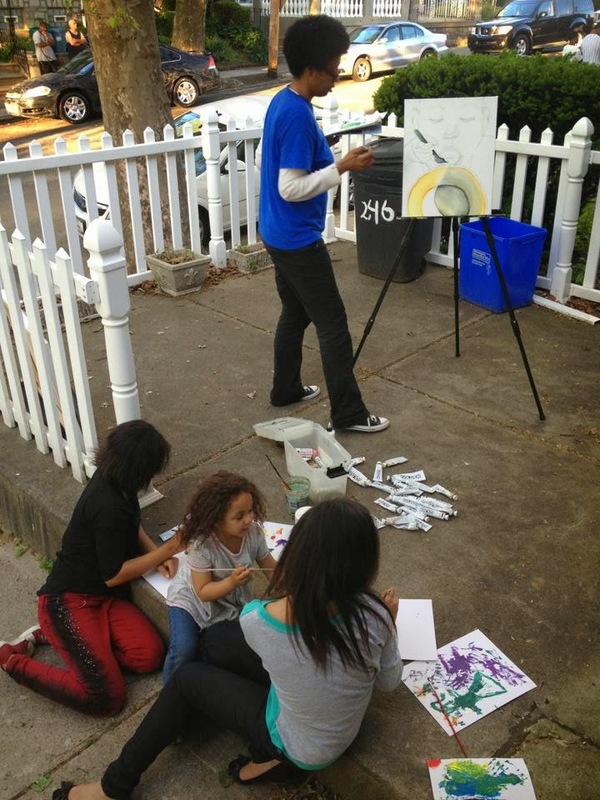 I am the girl with the messy afro and paint-stained jeans doodling in a sketchbook while singing along to the Jackson 5. Here, I write about art (both mine and that of other people) as well as the events and ideas that inspire it. I graduated from Cheyney University in 2006 with a Bachelor of Arts degree in Fine Art and am currently working towards an MFA in Interdisciplinary Arts at Goddard College. with a paintbrush and a pencil, a baren and a brayer, scissors and cut paper...the lines are blurred between the stories that are uniquely my own and those I share. It is the story of Ubuntu, our shared humanity. Connect with me on Facebook and Twitter for updates on my latest work. You can view my portfolio on Flickr. If you are interested in purchasing a work seen here or commissioning something unique, please email me for more information.